Atrial fibrillation (AF) is a common cardiac arrhythmia. There is growing evidence that AF is a risk factor for cognitive decline and dementia. 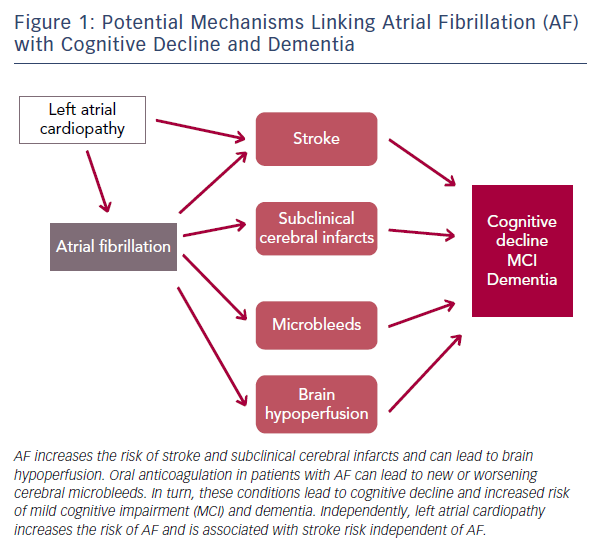 In this review, we summarise epidemiological observations linking AF with cognitive outcomes, describe potential mechanisms and explore the impact of AF treatments on cognitive decline and dementia. Community-based observational studies show a consistently higher rate of cognitive decline and increased risk of dementia in persons with AF. These associations are partly due to the increased risk of clinical stroke in AF, but other mechanisms, including the incidence of silent cerebral infarcts, microbleeds and cerebral hypoperfusion, are likely additional contributors. Adequate oral anticoagulation and improved management of the overall cardiovascular risk profile in individuals with AF offer the promise of reducing the impact of AF on cognitive decline and dementia. AA was supported by grants U01-HL096902 and R01-HL122200 from the National Heart, Lung, and Blood Institute, and by grant 16EIA26410001 from the American Heart Association. AF is a well-established risk factor for other cardiovascular diseases, including ischaemic stroke and heart failure.4 Growing evidence, however, indicates that AF can have deleterious effects beyond an increased risk of cardiovascular diseases. Specifically, many recent studies have explored the impact of AF on cognition and dementia risk. With the ageing population, the burden of dementia is expected to increase globally. More than 20 % of people aged >70 years have mild cognitive impairment (MCI).5 Approximately 800,000 individuals develop MCI and >500,000 develop dementia annually in the US.6 The total number of new cases of dementia each year worldwide is about 7.7 million, which means a new case is diagnosed every 4 seconds. It is estimated that 35.6 million people worldwide were living with dementia in 2010, and this figure is expected to double every 20 years, reaching 65.7 million in 2030 and 115.4 million in 2050.7 A better understanding of the association of AF with dementia and cognitive impairment, the predictors of cognitive impairment among those with AF, and the potential mechanisms explaining such associations would inform strategies for the management of AF and the prevention of adverse cognitive outcomes among these patients. 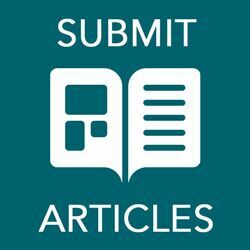 We conducted a review of the literature to examine the current evidence supporting an association of AF with cognitive function, dementia and MCI; describe the predictors of cognitive outcomes in people with AF; summarise the potential pathophysiological mechanisms; discuss the preventive interventions specific for AF; and explore the potential impact of current AF treatments on cognitive decline. To inform this review, we searched PubMed for publications available as of 1 June 2016, using the search query [atrial fibrillation AND (dementia OR cognitive impairment OR cognitive decline)], which considered the previous terms in any field as well as occurring as MeSH terms. We considered publications mostly from the past 5 years (since 1 November 2010), although we did not exclude frequentlyreferenced older publications and selected those considered relevant. The most basic evidence supporting an association of AF with worse cognitive function comes from cross-sectional studies comparing cognition in individuals with and without AF. A major limitation of these studies, however, is the difficulty in discerning the temporality of the association. In a study in Germany including 122 stroke-free individuals with AF and 564 individuals without AF undergoing a detailed cognitive assessment, those with AF performed significantly worse in learning, memory and executive function tasks.8 Similarly, the prevalence of AF has been associated with amnestic MCI and impaired global cognitive function in cross-sectional studies in Europe and the US.9,10 Interestingly, a recent analysis of the US-based Atherosclerosis Risk in Communities (ARIC) study, which included 325 individuals who underwent detailed cognitive assessment and heart rhythm monitoring during a maximum of 14 days, found that persistent but not paroxysmal AF was associated with lower cognitive function.11 These findings suggest that AF burden, in addition to its presence, may influence cognitive function. In addition to exploring how AF affects cognitive trajectories over time, it would be useful to determine how incident AF is associated with the onset of dementia and MCI. It would be particularly useful to assess whether such association is independent of clinical stroke, since this would point to additional pathways linking AF and neurodegeneration. The elevated incidence of stroke in AF patients explains the relationship between AF and the development of vascular dementia.18 More recently, several prospective studies have shown that AF is also linked with an elevated risk of other dementias, including Alzheimer’s disease, independent of clinical vascular events. Table 2 provides the summary characteristics of relevant studies. Understanding the determinants of dementia among AF patients may inform interventions that can prevent the cognitive complications of the arrhythmia. Some studies have found that higher CHADS2 and CHA2DS2-VASc scores, which are stratification schemes commonly used to inform anticoagulant treatment in individuals with AF, predict dementia in these patients.22,29 This association is not surprising given that age, possibly the strongest predictor of dementia, is part of the scores. Dementia-specific risk models are likely to provide more accurate predictions. Oral anticoagulation is a mainstay of the treatment of patients with AF. Determination of the influence of anticoagulation control in AF patients on the risk of dementia has been the objective of at least two separate publications. Both studies used data from the Intermountain Healthcare Clinical Pharmacist Anticoagulation Service in Utah, USA. They reported that vitamin K antagonist users whose levels were only within the therapeutic range for a low proportion of time were at a higher risk of dementia due to under- or overcoagulation.30,31 Though informative, these studies are limited in that they cannot determine whether baseline cognitive function confounds the association between suboptimal oral anticoagulation and the future risk of dementia. For example, individuals with worse cognitive function at the time of oral anticoagulation initiation may have more problems following an adequate therapeutic regimen and would be at a higher risk of being diagnosed with dementia later on. Additional observational studies with adequate characterisation of baseline cognition or, even better, randomised trials aimed at improving anticoagulation quality are needed to answer this question. The published evidence is consistent in supporting an association between AF and cognitive outcomes. The mechanisms underlying this association, however, still need clarification. An obvious pathway linking AF with cognitive decline or dementia is the elevated risk of stroke. AF is associated with at least a doubling of stroke risk32 and the effects of stroke on cognitive function are well established.18 Despite this, elevated stroke risk does not completely mediate the increased risk of dementia and cognitive decline associated with AF.33 Other mechanisms such as silent cerebral infarcts, microbleeds associated with oral anticoagulation and cerebral hypoperfusion are likely to play a role (Figure 1). Of recent interest is the potential role that left atrial cardiopathy, as a precursor of AF, can play in cerebrovascular disease and, consequently, the development of cognitive decline and dementia. Analysis of several community-based studies has demonstrated that the presence of electrocardiographic left atrial abnormality, a marker of atrial cardiopathy, is associated with an increased risk of ischaemic stroke, mostly non-lacunar, and vascular brain injury even in the absence of AF.46,47 The impact of left atrial cardiopathy on dementia risk independent of AF needs to be explored. Understanding the mechanisms responsible for the increased rates of cognitive decline and dementia in people with AF can inform preventive strategies. Current guidelines recommend oral anticoagulation for stroke prevention in most individuals with AF.48,49 The decreased stroke risk in patients receiving adequate anticoagulation should consequently lead to a reduced risk of adverse cognitive outcomes. Improved anticoagulation control could be particularly effective in high-risk individuals, for example those who already have some cognitive impairment. A recent clinical trial including 973 elderly patients with AF found that patients randomised to warfarin had less cognitive decline than those randomised to aspirin after 33 months of follow-up, although the differences were not statistically significant.50 A recent analysis comparing the risk of dementia in patients with AF using warfarin versus non-vitamin K oral anticoagulants reported a lower risk of dementia among non-vitamin K oral anticoagulant users.51 Unfortunately there is currently no additional evidence on the effect of oral anticoagulation on cognitive function as larger randomised trials of oral anticoagulation, whether traditional vitamin K antagonists or the more recent direct oral anticoagulants, have not considered cognitive endpoints. The long-term cognitive effects of other treatments for AF, such as catheter ablation, are unknown. Future studies that collect prospective information on cognitive outcomes should address this gap. A promising novel area in the management of AF, which could eventually translate into the prevention of cognitive complications, is the role of lifestyle changes leading to weight loss and improvement in overall cardiometabolic risk profile. A randomised trial of weight loss and risk factor management in 150 AF patients led to clinicallysignificant reductions in AF burden and symptoms as well as improving cardiac function.52 Similar findings were obtained in 355 AF patients participating in a weight loss intervention; those who sustained weight loss had reductions in AF burden and were more likely to remain in sinus rhythm.53 The impact of these lifestyle interventions on cognitive outcomes in persons with AF has not been assessed to date. Given the role of cardiovascular risk factors in cognition and dementia risk,54 this area would be a fruitful avenue for future research. Finally, primary prevention of AF should be the ultimate goal in reducing the burden of AF-related complications. Unfortunately, we currently lack effective interventions that have consistently demonstrated effectiveness in reducing AF risk in the general population. Although promising, some preventive interventions such as omega-3 fatty acid supplementation, statins or inhibition of the renin–angiotensin–aldosterone system have failed to reduce AF risk.55,56 Recent studies indicate that dietary intervention and improved blood pressure control can prevent AF.57,58 Whether these interventions can in turn lead to a reduced risk of dementia and cognitive decline remains undetermined. A growing and consistent body of literature supports AF as a risk factor for cognitive decline and dementia. The mechanisms responsible for this association are diverse and go beyond the wellestablished increase in stroke risk in individuals with AF. Future research needs to deepen the understanding of these mechanisms and, more importantly, develop interventions that reduce the burden of adverse cognitive outcomes associated with AF. Chugh SS, Havmoeller R, Narayana K, et al. Worldwide epidemiology of atrial fibrillation: a Global Burden of Disease 2010 Study. Circulation 2014;129:837–47. Miyasaka Y, Barnes ME, Gersh BJ, et al. Secular trends in incidence of atrial fibrillation in Olmsted County, Minnesota, 1980 to 2000, and implications on the projections for future prevalence. Circulation 2006;114:119–25. Magnani JW, Rienstra M, Lin H, et al. Atrial fibrillation: current knowledge and future directions in epidemiology and genomics. Circulation 2011;124:1982–93. Plassman BL, Langa KM, Fisher GG, et al. Prevalence of cognitive impairment without dementia in the United States. Ann Intern Med 2008;148:427–34. Plassman BL, Langa KM, McCammon RJ, et al. Incidence of dementia and cognitive impairment, not dementia in the United States. Ann Neurol 2011;70:418–26. Prince M, Bryce R, Albanese E, et al. The global prevalence of dementia: a systematic review and metaanalysis. Alzheimers Dement 2013;9:63–75.e2. Knecht S, Oelschläger C, Duning T, et al. Atrial fibrillation in stroke-free patients is associated with memory impairment and hippocampal atrophy. Eur Heart J 2008;29:2125–32. Casado Naranjo I, Portilla Cuenca JC, Duque de San Juan B, et al. Association of vascular factors and amnestic mild cognitive impairment: a comprehensive approach. J Alzheimers Dis 2015;44:695–704. Alosco ML, Spitznagel MB, Sweet LH, et al. Atrial fibrillation exacerbates cognitive dysfunction and cerebral perfusion in heart failure. Pacing Clin Electrophysiol 2015;38:178–86. Chen LY, Agarwal SK, Norby FL, et al. Persistent but not paroxysmal atrial fibrillation is independently associated with lower cognitive function: the Atherosclerosis Risk in Communities (ARIC) Study. J Am Coll Cardiol 2016;67: 1379–80. Marzona I, O’Donnell M, Teo K, et al. Increased risk of cognitive and functional decline in patients with atrial fibrillation: results of the ONTARGET and TRANSCEND studies. CMAJ 2012;184:E329–36. Thacker EL, McKnight B, Psaty BM, et al. Atrial fibrillation and cognitive decline: a longitudinal cohort study. Neurology 2013;81:119–25. Chen LY, Lopez FL, Gottesman RF, et al. Atrial fibrillation and cognitive decline – the role of subclinical cerebral infarcts: the Atherosclerosis Risk in Communities Study. Stroke 2014;45:2568–74. Ott A, Breteler MMB, de Bruyne MC, et al. Atrial fibrillation and dementia in a population-based study: the Rotterdam Study. Stroke 1997;28:316–21. Di Nisio M, Prisciandaro M, Rutjes AWS, et al. Dementia in patients with atrial fibrillation and the value of the Hachinski ischemic score. Geriatr Gerontol Int 2015;15:770–7. Habeych ME, Castilla-Puentes R. Comorbid medical conditions in vascular dementia: a matched case-control study. J Nerv Ment Dis 2015;203:604–8. Gorelick PB, Scuteri A, Black SE, et al. 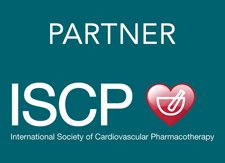 American Heart Association Stroke Council, Council on Epidemiology and Prevention, Council on Cardiovascular Nursing, Council on Cardiovascular Radiology and Intervention and Council on Cardiovascular Surgery and Anesthesia. Vascular contributions to cognitive impairment and dementia: a statement for healthcare professionals from the American Heart Association/American Stroke Association. Stroke 2011;42:2672–713. Dublin S, Anderson ML, Haneuse SJ, et al. Atrial fibrillation and risk of dementia: a prospective cohort study. J Am Geriatr Soc 2011;59:1369–75. Rusanen M, Kivipelto M, Levalahti E, et al. Heart disease and long-term risk of dementia and Alzheimer’s disease: a population-based CAIDE study. J Alzheimers Dis 2014;42:183–91. de Bruijn RFAG, Heeringa J, Wolters FJ, et al. 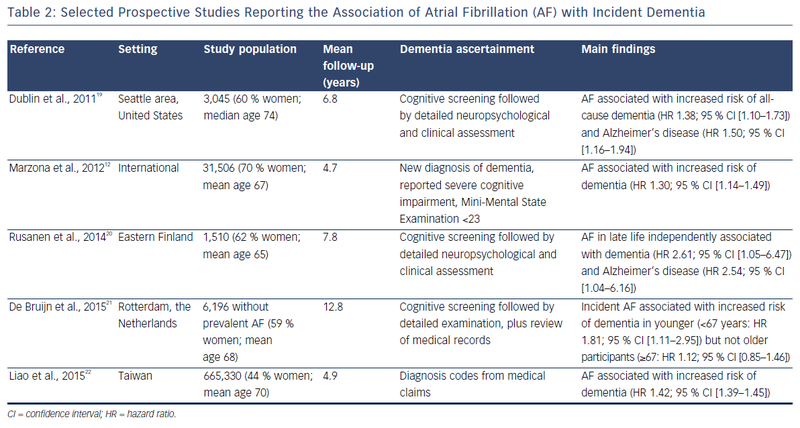 Association between atrial fibrillation and dementia in the general population. JAMA Neurology 2015;72:1288–94. Liao JN, Chao TF, Liu CJ, et al. Risk and prediction of dementia in patients with atrial fibrillation – a nationwide population-based cohort study. Int J Cardiol 2015;199:25–30. Santangeli P, Di Biase L, Bai R, et al. Atrial fibrillation and the risk of incident dementia: A meta-analysis. Heart Rhythm 2012;9:1761–8.e1762. Gaita F, Corsinovi L, Anselmino M, et al. Prevalence of silent cerebral ischemia in paroxysmal and persistent atrial fibrillation and correlation with cognitive function. J Am Coll Cardiol 2013;62:1990–7. Haeusler KG, Wilson D, Fiebach JB, et al. Brain MRI to personalise atrial fibrillation therapy: current evidence and perspectives. Heart 2014;100:1408–13. Stefansdottir H, Arnar DO, Aspelund T, et al. Atrial fibrillation is associated with reduced brain volume and cognitive function independent of cerebral infarcts. Stroke. 2013;44:1020–5. Graff-Radford J, Madhavan M, Vemuri P, et al. Atrial fibrillation, cognitive impairment, and neuroimaging. Alzheimers Dement 2016;12:391–8. Dublin S, Anderson ML, Heckbert SR, et al. Neuropathologic changes associated with atrial fibrillation in a populationbased autopsy cohort. J Gerontol A Biol Sci Med Sci 2014;69:609–15. Ball J, Carrington MJ, Stewart S. SAFETY investigators. Mild cognitive impairment in high-risk patients with chronic atrial fibrillation: a forgotten component of clinical management? Heart 2013;99:542–7. Jacobs V, Woller SC, Stevens S, et al. Time outside of therapeutic range in atrial fibrillation patients is associated with long-term risk of dementia. Heart Rhythm 2014;11: 2206–13. Jacobs V, Woller SC, Stevens SM, et al. Percent time with a supratherapeutic INR in atrial fibrillation patients also using an antiplatelet agent is associated with long-term risk of dementia. J Cardiovasc Electrophysiol 2015;26:1180–6. Wolf PA, Abbott RD, Kannel WB. Atrial fibrillation as an independent risk factor for stroke: the Framingham Study. Stroke 1991;22:983–8. Kalantarian S, Stern TA, Mansour M, et al. Cognitive impairment associated with atrial fibrillation: a meta-analysis. Ann Intern Med 2013;158:338–46. Kalantarian S, Ay H, Gollub RL, et al. Association between atrial fibrillation and silent cerebral infarctions: a systematic review and meta-analysis. Ann Intern Med 2014;161:650–8. Vermeer SE, Prins ND, den Heijer T, et al. Silent brain infarcts and the risk of dementia and cognitive decline. N Engl J Med 2003;348:1215–22. Kalantarian S, Ruskin JN. Atrial fibrillation and cognitive decline: phenomenon or epiphenomenon? Cardiol Clin 2016;34:279–85. Gomez CR, McLaughlin JR, Njemanze PC, Nashed A. Effect of cardiac dysfunction upon diastolic cerebral blood flow. Angiology 1992;43:625–30. Porebska A, Nowacki P, Safranow K, Drechsler H. Nonembolic, hemodynanic blood flow disturbances in the middle cerebral arteries in patients with paroxysmal atrial fibrillation without significant carotid stenosis. Clin Neurol Neurosurg 2007;109:753–7. Efimova I, Efimova N, Chernov V, et al. Ablation and pacing: improving brain perfusion and cognitive function in patients with atrial fibrillation and uncontrolled ventricular rates. Pacing Clin Electrophysiol 2012;35:320–6. de Bruijn RF, Portegies ML, Leening MJ, et al. Subclinical cardiac dysfunction increases the risk of stroke and dementia: the Rotterdam Study. Neurology 2015;84:833–40. Jefferson AL, Beiser AS, Himali JJ, et al. Low cardiac index is associated with incident dementia and Alzheimer disease: the Framingham Heart Study. Circulation 2015;131:1333–9. Kim MS, Kim JJ. Heart and brain interconnection – clinical implications of changes in brain function during heart failure. Circ J 2015;79:942–7. Poels MM, Vernooij MW, Ikram MA, et al. Prevalence and risk factors of cerebral microbleeds: an update of the Rotterdam scan study. Stroke 2010;41:S103–6. Akoudad S, Darweesh SK, Leening MJ, et al. Use of coumarin anticoagulants and cerebral microbleeds in the general population. Stroke 2014;45:3436–9. Kamel H, O’Neal WT, Okin PM, et al. Electrocardiographic left atrial abnormality and stroke subtype in the Atherosclerosis Risk in Communities study. Ann Neurol 2015;78:670–8. Kamel H, Bartz TM, Longstreth WT, Jr, et al. Association between left atrial abnormality on ECG and vascular brain injury on MRI in the Cardiovascular Health Study. Stroke 2015;46:711–6. January CT, Wann LS, Alpert JS, et al. ACC/AHA Task Force Members. 2014 AHA/ACC/HRS guideline for the management of patients with atrial fibrillation: a report of the American College of Cardiology/American Heart Association Task Force on Practice Guidelines and the Heart Rhythm Society. Circulation 2014;130:199–e267. Camm AJ, Kirchhof P, Lip GYH, et al. Guidelines for the management of atrial fibrillation. Eur Heart J 2010;31:2369– 429. Mavaddat N, Roalfe A, Fletcher K, et al. Warfarin versus aspirin for prevention of cognitive decline in atrial fibrillation: randomized controlled trial (Birmingham Atrial Fibrillation Treatment of the Aged Study). Stroke 2014;45:1381–6. Abed HS, Wittert GA, Leong DP, et al. Effect of weight reduction and cardiometabolic risk factor management on symptom burden and severity in patients with atrial fibrillation: A randomized clinical trial. JAMA 2013;310: 2050–60. Pathak RK, Middeldorp ME, Meredith M, et al. Long-term Effect of Goal directed weight management in an Atrial fibrillation Cohort: a long-term follow-up studY (LEGACY Study). J Am Coll Cardiol 2015;65:2159–69. Alonso A, Mosley TH, Gottesman R, et al. Risk of dementia hospitalization associated with cardiovascular risk factors in midlife and older age: the Atherosclerosis Risk in Communities (ARIC) Study. J Neurol Neurosurg Psychiatry 2009;80:1194–201. Savelieva I, Kakourps N, Kourliouros A, Camm AJ. Upstream therapies for management of atrial fibrillation: review of clinical evidence and implications for European Society of Cardiology guidelines. Part I: primary prevention. Europace 2011;13: 308–28. Woods CE, Olgin J. Atrial fibrillation therapy now and in the future: drugs, biologicals, and ablation. Circ Res 2014;114:1532–46. Martinez-Gonzalez MA, Toledo E, Arós F, et al. PREDIMED Investigators. Extra-virgin olive oil consumption reduces risk of atrial fibrillation: the PREDIMED trial. Circulation 2014;130:18–26.